Delos Santos's home, right before total destruction. Those were the words that Savannah Delos Santos, a senior at Chaminade University, heard from her mother on the night of Halloween. Delos Santos’s mother and brother, along with many other families, had just witnessed their homes being destroyed. Her house and the surrounding apartments and store on the tiny island of Saipan were burnt down after an 11-hour fire – nothing to be saved. 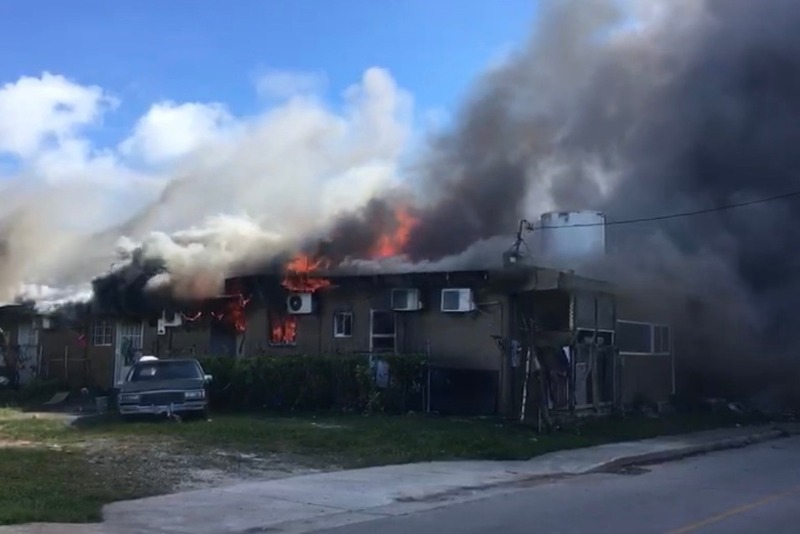 According to local newspaper Marianas Variety, 56 people were displaced as a result of the blaze. Saipan was hit by a category five super typhoon in mid-October of this year that left one dead and many others injured and displaced. With shelters at full capacity from the storm, her mother and her brother had nowhere to turn to. With Delos Santos more than 4,000 miles away from home, she felt helpless. She had no idea at first how to help her family, and thought that asking for donations would be too much to ask from people. But as the days passed, she thought of one thing that could help her family rebuild again while giving back at the same time: hennas. The Saipan native recently started a henna tattoo business earlier this year, with her business partner Nonglak “Kip” Kapileo. Her idea was to create a GoFundMe page, but instead of just asking for money, she would give a henna tattoo to everyone who donated any amount. “I love art, and I’m a firm believer that art should be shared,” Delos Santos said. Her overall goal is to raise at least $4,000, which is the estimated amount needed to take care of rent and other expenses for four to five months. As of press time, the current amount raised was $1,298. This was raised by over 37 people in only 12 days, according to the site. Delos Santos explains that, due to the current crisis on Saipan, her family is “at a pause for earning income” while recovery efforts are ongoing. Her family deals mainly with the tourism industry, which has taken a toll due to the damaged hotels and airport. Delos Santos’s mother manages a bar in the island’s hotel district while her brother is a statistician for the local visitors authority. From left, Savannah Delos Santos’s mother, herself, her brother, and her brother’s girlfriend. “I have broken it down financially and took into consideration that power will not be restored for at least four to five months, or even longer,” Delos Santos said. Those who donated to the cause will be able to get their henna tattoo of choice on Chaminade’s campus only, as she currently does not have the means to get around the island. 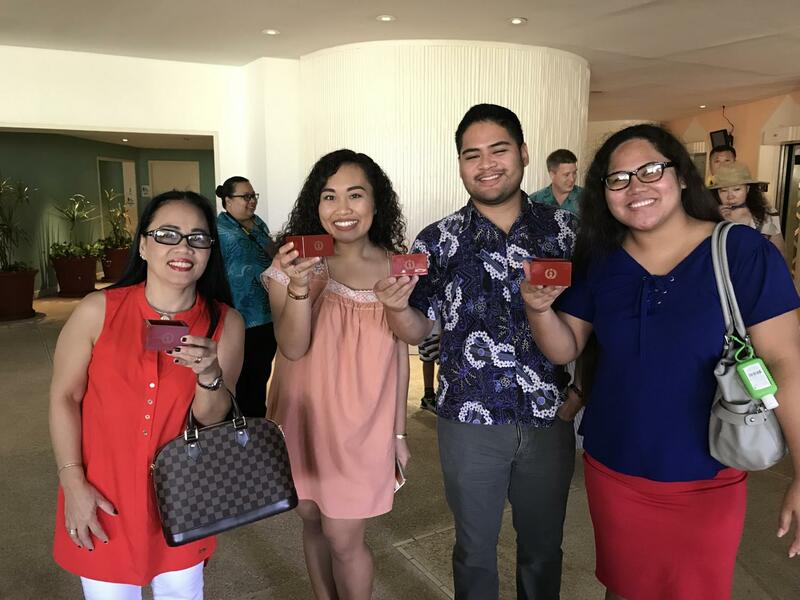 For those who donated outside of the island of Oahu, Delos Santos says that she is “more than willing” to mail any other forms of art that off-island contributors would like to receive. “Any amount, whether it be $10 or $100, would be a such a big help,” Delos Santos said. Those who want to help Delos Santos and her family can go to the GoFundMe page here. Delos Santos can also be reached through her Instagram account @kipitsavvy.